Gamer's Nexus tested NVIDIA's GeForce GT 1030 with DDR4 memory and concludes this is one big disgrace. Swapping the GDDR5 memory on the card for DDR4 results in a $10 price reduction, but the result is you also lose half of the performance! Unfortunately, because the new GT 1030 obfuscates that choice and conveniently blends its significant DDR4 reduction into product IDs, we must rescind that recommendation. 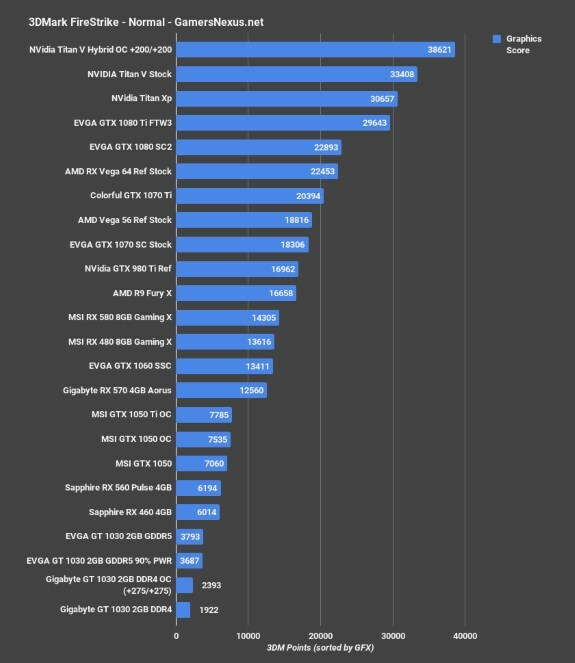 The average consumer cannot reasonably be expected to look at “GT 1030 2GB OC LPD4” and understand that is 55% slower than “GT 1030 2GB OC LPG5.” That is completely ludicrous, and nVidia, for a company so righteous on making “choices clearer for gamers,” sure seems to be obscuring this one. The company only wants some cards to be a clear choice. Not all cards, apparently. This does not benefit gamers. The conclusion is pretty simple, avoid the DDR4-based card.